Dr. Frank Lipman is an integrative and functional medicine physician, founder of Eleven Eleven Wellness in NYC, and the creator of Be Well By Dr. Frank Lipman. In his monthly column for R29, he’ll talk about the latest health and wellness news; his favorite stay-healthy tips and tricks; plus answer your questions on how to be your healthiest, best self, every day. Winter squash and root vegetables are generally available during the winter months in cold climates when other vegetables may not be, and they tend to be inexpensive. When you eat produce that’s naturally available, your body is more in harmony with nature’s tools for immune-strengthening. 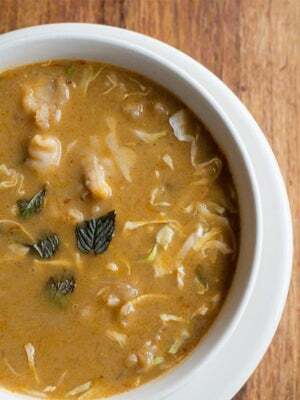 Soups and stews are great because they are warming, grounding, and comforting to the body, while allowing you to really pack in the nutrient-dense vegetables. 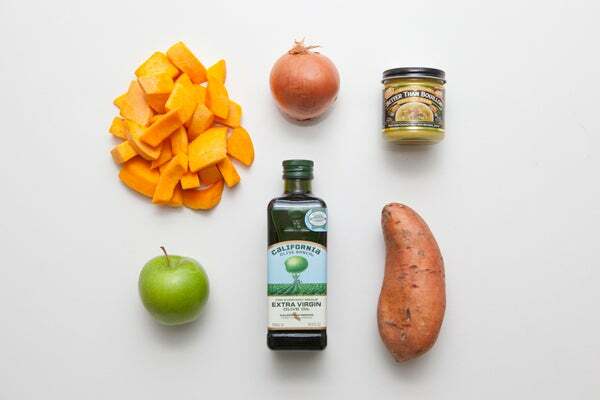 Try kabocha or butternut squash and root veggies like carrots, onions, sweet potatoes, and beets. Making a hearty soup or stew in a slow cooker can be an easy and delicious way to have a hot meal ready for you at the end of the day. There are many herbs, spices, and condiments that have immune-boosting effects. Some of the best and tastiest include garlic, ginger, cinnamon, turmeric, and cayenne. These spices will allow you to add bold flavors to your meals and reap the nutritional benefits at the same time. Garlic, for instance, has antibiotic and antiviral properties — it’s great to eat when you start to feel a bit under the weather. Cayenne, cinnamon, ginger, and turmeric are warming spices with powerful anti-inflammatory properties that are the perfect boost for your body in the winter months. Try drinking ginger tea, sprinkling cinnamon into your oatmeal, or adding a pinch of cayenne or turmeric into a stir-fry. Vitamin D is involved in making enzymes and proteins that are crucial for maintaining health and preventing disease. There only two reliable sources of vitamin D: the sun and supplements. Between heavy sunscreen and long work hours, it can be tricky to get enough vitamin D on even the sunniest summer days; in the winter, most people who live in the northern hemisphere aren’t getting nearly enough, to be sure! I recommend everyone take a quality vitamin D3 supplement to boost their levels. It fights inflammation, boosts the immune system function, and can even help lift your mood. Don’t underestimate how important it is to stay well-hydrated during the winter months. In general, water is necessary to flush out toxins, remove waste from the body, facilitate digestion, and carry nutrients to the proper cells and organs so you feel your best. Between the cold air outside in the winter and the heat blasting inside, it’s easy to dry out — which makes good hydration habits even more important. Even mild dehydration can cause fatigue, headaches, and weakness in the body, so make sure to drink plenty of water, and consider taking a fish oil supplement if you tend to have dry skin.